Read a blog post by Pete Wilson the other day that hit home. Instead of feeling bad or guilty about loneliness as a leader, he relates it with Jesus. Very early in my ministry I had another leader tell me leadership can be a lonely activity. I’ve worked very hard in my life to surround myself with other leaders. I’ve worked hard to empower the people around me and build authentic community. However, I agree: There is an element to leadership that is lonely—whether it’s leadership in a church, leadership in the workplace or even leadership in your home. Leadership is one of the greatest privileges given to any human being. I’m sure many of us in leadership would agree leadership is one of the most fulfilling experiences in life. But in leadership you carry a weight and responsibility that can drive you to a very lonely place. A healthy leader will allow this loneliness to drive him or her to a greater dependence on God. I’m reminded of this loneliness when I look at the life of Jesus. Luke 22:39-46 recounts how Jesus asks His disciples to pray with Him. It was such an intense time of temptation, the Bible tells us as He prayed, “His sweat was like drops of blood.” After He finished He walked back over to His disciples to find them asleep. Can you imagine how defeating that would be? Is anyone else as passionate as I am about this cause? Jesus lived in the reality that even when you do life in community, leadership can be lonely. Just hours later, even his closest follower would deny knowing Him. 1. If it happened to Jesus, it will happen to you. People will abandon you and, yes, you will feel lonely. And let’s be honest: because you’re not Jesus and you have sins like pride and arrogance, you’re going to bring some of this upon yourself. Whenever you step into any kind of leadership role, make sure you count the cost. 2. Extend grace whenever possible. One of my favorite scenes in the Bible would happen a few weeks later in John 21 when Jesus and Peter have a little chat on the beach. Jesus would take this opportunity to extend grace to Peter and re-communicate His belief in him. Jesus always chose to see people for who they could be rather than who they were in that very moment. 3. Don’t get bitter and withdraw. I’ve had way too many pastors tell me they don’t do “friends.” Whhhhhhat? Listen, we’ve all been hurt. We’ve all been tempted to withdraw into our own little cocoon and never trust again. Don’t fall into that trap. Jesus invested in a bunch of guys who he knew would abandon Him in His time of greatest need. Developing authentic relationships is risky business in the midst of leadership, but it’s a risk you need to take. 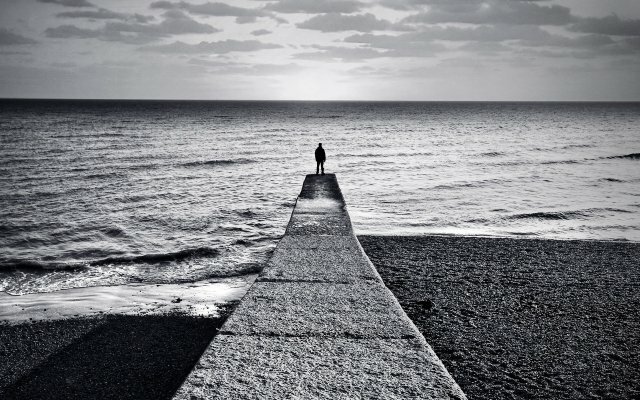 How do you deal with the loneliness of leadership? Yeah, Kye Thanks for posting this! Thanks Joe. It was a great reminder for me too.